We are praying for a Miracle for this Rescue Please donate what you can and spread the word to friends and family and on any social media you can. We know together we can save this rescue from closing. Land O' Lakes Rescue Petting Farm is a non profit family run rescue in Cloyne, Ontario. 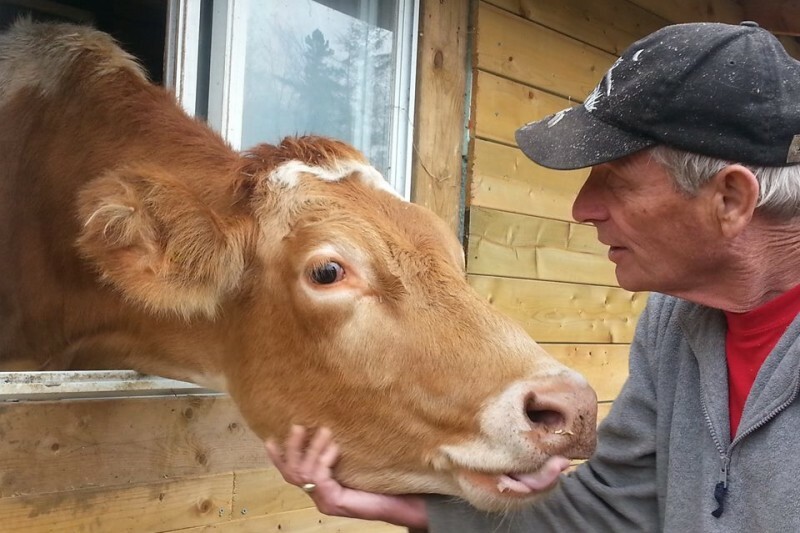 This family has devoted their lives and money to save abused and neglected farm animal. Land O' Lakes Rescue Petting Farm originated because there was a need to help injured, sick and abandoned farm animals. This rescue is a wonderful place of healing. On their website www.landolakesrescuepettingfarm.ca you can read all the stories of how these animals came to the rescue from terrible abusive and neglectful situations. You will hear what there health concerns and injuries were. Despite of the injuries and the cost to vet these animals the Smiths did not turn them away. Through the love and care given to these animals from the Smiths that they are healthy and well and capable of giving love and living a stress free, pain free life on this rescue. What started as the Smiths with their foster children rescuing a few horses, pot belly pig and rabbit. Has turned into rescuing over 50 animals. This is very costly and without your donations they will have to close and find homes for these animals. The thought of doing that breaks The Smiths hearts these animals are like family. The rescue is unfortunately located in a small North Eastern Ontario town. It is a vacationing spot for campers but the rest of the year is very secluded. The closest cities are 1 hour and half away. This causes many visitors not to visit but those who do come find it to be a very magical place and visit again. Supporters come to visit the animals only May to Oct. And the rest of the year there are very little donations to keep the rescue going. There are occasional fundraiser events running through out the year that do help, but it still is not enough to carry all the expenses of this rescue farm. There are some very special children who have fundraised for the rescue and give up their birthday money to help feed these animals. But without more donations support this rescue will be closed before May and the children who have learned so much about caring and sharing by visiting these animals will be no longer be able to have this experience. "Happy New Year to all all our Friends and Supporters of Land O' Lakes Rescue Petting Farm. We would like to thank all our supporter that have helped keep this farm operating in the past years. It has not gone unnoticed your hard work and is very much appreciated. We know you love this farm as much as we do and would love to see it continue it's mission for years to come. We need your help so we can continue to provide a safe nurturing home for these animals and any other animal that may come through our doors. Unfortunately funds are depleted and we need to immediately generate more funds otherwise the petting farm will have to close it doors, leaving these animals to an uncertain future. We hope that we can continue this important mission, but reality may force us to close our doors and sell the property. Please help (RESCUE) Land O' Lakes Rescue Petting Farm. We need you! Thank you. Donna & Barry with our Children and These Wonderful Animals"
To keep this farm operating we need to pay the following outstanding bills immediately. Taxes - $4,200.00 (one year only) Note: 3 years in arrears. What a very cold day of -35 this morning. Unfortunately the animals will not be going outside. A major winter storm is coming. The animals use more grain at this time of year to keep warm. We are counting the days to spring. With all this cold weather, we have had many issues with our water freezing up and we have had to fill up daily 20 pails a water up from the house and bring them over. Ice has been a issue and we have had to be creative opening up the back paddocks, trying to keep the animals off the ice. It has been a very difficult winter so far. 613 354-4424 You could put money on our account so we can pick up grain supplies. You can also cash in your empties or drop them off at the farm. We also have pick up of empties in Kingston and Napanee. We accept, pop cans, liquor, beer or wine bottles/cans/bags. Everything helps to keep this farm alive. Your support is always appreciated. No donation is too small! Update- Merry Christmas to all our Supporters and Friends. Looking for something to do over the holidays! Come visit the animals, bring them a treat, groom a horse or give a big hug to an animal. They sure miss your visits! We had the vet up to take care of some issues. Last month Shawn the sheep got neutured, Hope the talking horse had his teeth floated and Cloud the mini horse is having a issue with his feet and is on medicine to help him. Leena one of our rescued dogs had a stone removed from her Kidney and Hunter another dog who was rescued approx. 8 years ago had passed away. He was approx. 15 years old. He will be sadly missed. We had many visitors during the summer and received many donations of money. Many also donated their beer, wine, liquor bottles and pop cans. Please keep them coming. If you do live in Kingston or Napanee, we have volunteers who will help collect them. You also can drop off your empties at the farm front gate too. or cash your empties in and send the money directly to the farm or to any of our accounts set up below. Your empties turn into cash used for grain, hay and vet bills for these wonderful animals. We are in desperate need of grain and shavings. Any one wishing to donate, you can donate to the farm or directly to either vet or grain store . If you are looking for a special gift this Christmas for someone, why not sponsor an animal. If you do not see that special animal on our sponsor page, let us know and we will make sure he/she is added. If you wish to come during the winter months for a visit, we do not charge admission but accept donations of grain, treats for the animals or money to help out with bills. Please call first to insure someone will be around. You may walk around by yourself. The Animals would love a visit from you. We wish to thank all our supporters, visitors to the farm, volunteers and friends You have made a difference in these Rescued Animals lives. "Suffering Eyes - A voice for the voiceless, the beast and singing birds guarding with tenderness, small things that have no words"
We wish to take this time to thank all our supporters. With out you, we would not be continuing our mission to save animals from abuse and neglect. We have just celebrated our "11th year Anniversary." Thank you for making this happen! A big THANK YOU to all our volunteers who helped at the farm, all our supporters who have raised funds for the animals and everyone who has donated money, pop cans, liquor, beer and wine bottles/cans empties and supplies. Thank you to all who have visited these past few months and have purchased Tasty Bake Goods from our Snack Bar. Everything you raise, goes directly back to the Animals. You are all making a difference in all these wonderful Animals lives. Thank you from the bottom of our hearts. We visited the farm a few years ago from Glasgow, Scotland! My boys loved the animals. Barry we are thinking of you and the family. Hugs from across the pond. Dearest Barry, Donna and family, How I wish I could do more and the distance were not so great so I could help in your labor and most of all in your stress. Love you for all the things you do and all you stand for. I donated in honour of my husband’s birthday, where we will spend some time helping out on the farm!